Please Check with IFDA NY office to confirm time and location. All members are welcome to attend the board meeting. Watch for e-invite for location and to register. Are you tired of getting up in the morning frustrated with no energy and a lack of desire for what you're doing? Discover how the alchemy of color can shift your mood, uplift your energy, and change your attitude completely. See for yourself how color has incredible healing powers and is a beautiful tool to bring out your best, authentic self. Betsy will share her knowledge of color theory, chakra healing, and a color-guided meditation to shift your mindset and energy. Here to Register for the Event! 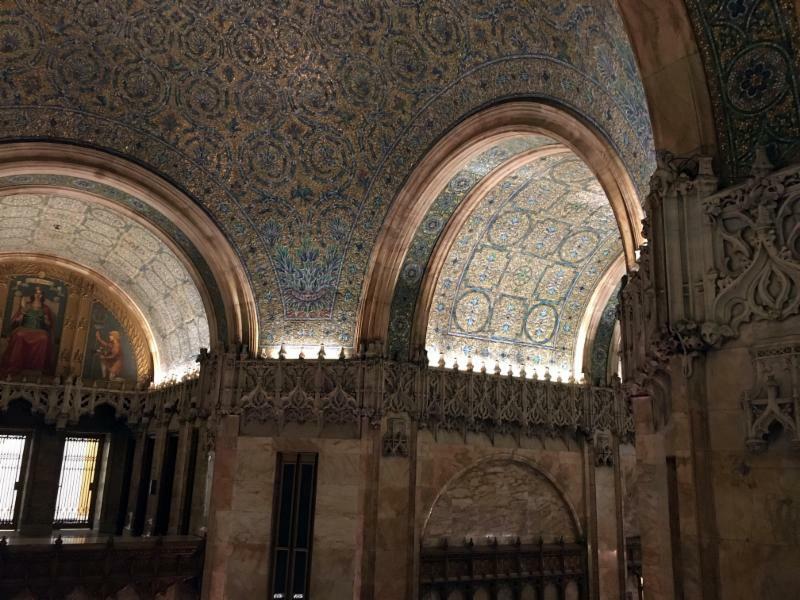 This private tour is guided by Ray Victor who discusses the importance of this landmark building. Ray Victor's background in commercial production and digital advertising will give you insight into the design and architecture of this magnificent skyscraper. 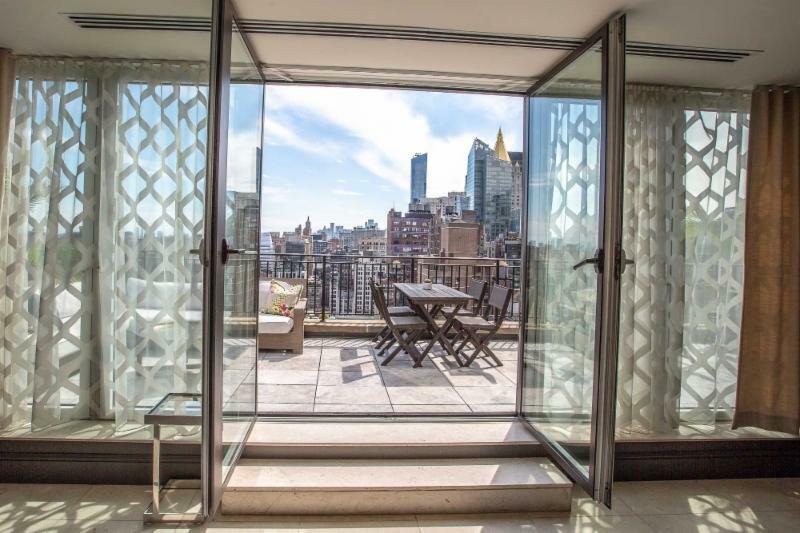 At about 12pm we will be met by a Southeby's International Representative who will bring us to one of the beautifully furnished model apartments for an exclusive access tour. Meet us at the main entrance under the overhang at 10:15m. Our 90 minute tour starts promptly at 10:30. No food, drinks, pets or children under 10. Tours include stairs and significant standing time. Photographs are permitted but no flashes or video. No refunds of booked tour fees. Deadline for booking this tour is April 1.
was a visionary in the design industry who lost her battle to cancer the summer of 2014. She started her career as an interior designer and in 1985 she began a longtime affiliation with Grange, later serving for a short period as chairman of B&B Italia, America. IFDA benefited directly from her business acumen: she served as president of the New York Chapter and chairman of the Past President Council. She will be widely remembered as a gracious, generous, joyful, and compassionate woman, whose big beautiful smile lit up the lives of all who shared her company and enthusiasm for life. She will also be remembered by future generations in the design industry via the newly established IFDA Grant ($3000) which will be awarded to an IFDA professional interested in furthering their studies by expanding their horizons through travel, trade shows, or professional development studies. Scroll up or see calendar sidebar to read more about the Members Only Lunch Club events. Be Cool Without Being Cold! 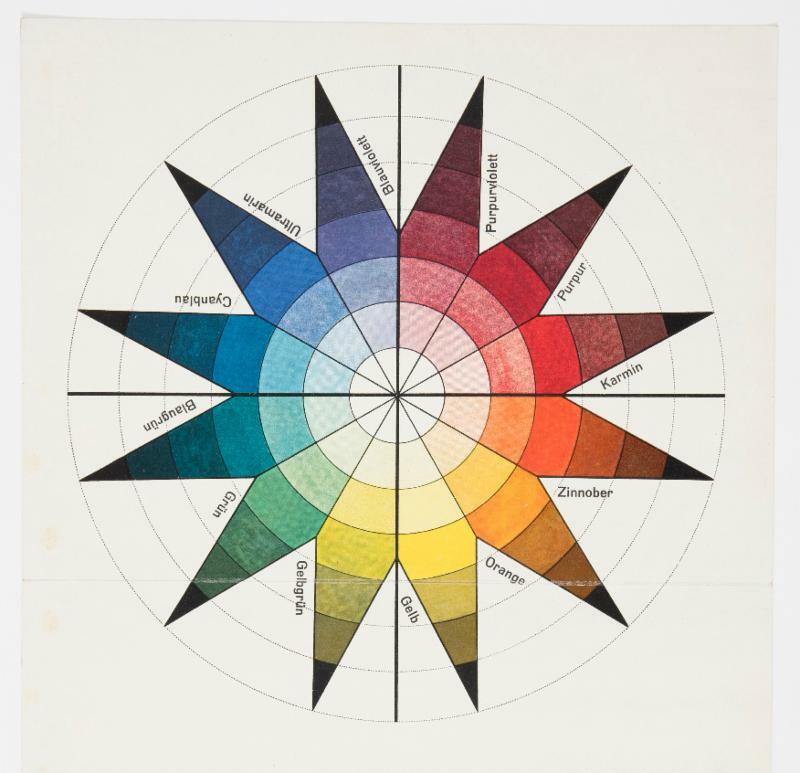 The Soul & Science of Color. with the presentation from 9 -10 AM. Or visit loriweitzner.com for more info. IFDA Members, don't forget to get a complimentary badge for NY NOW to see what's new & next. Use code IFDAWinter2019 and click here. 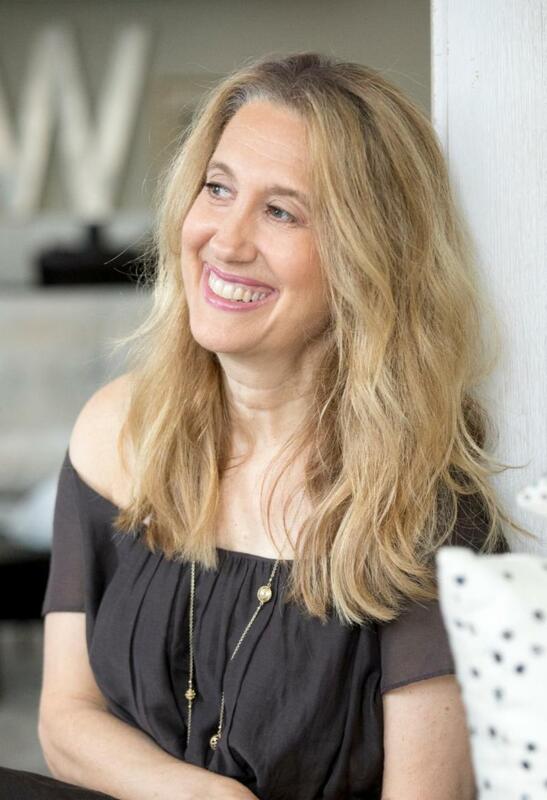 Lori Weitzner, principal and creative director of Lori Weitzner, Design is Internationally known for her contributions to the world of textiles and wallcoverings under the brand Weitzner. 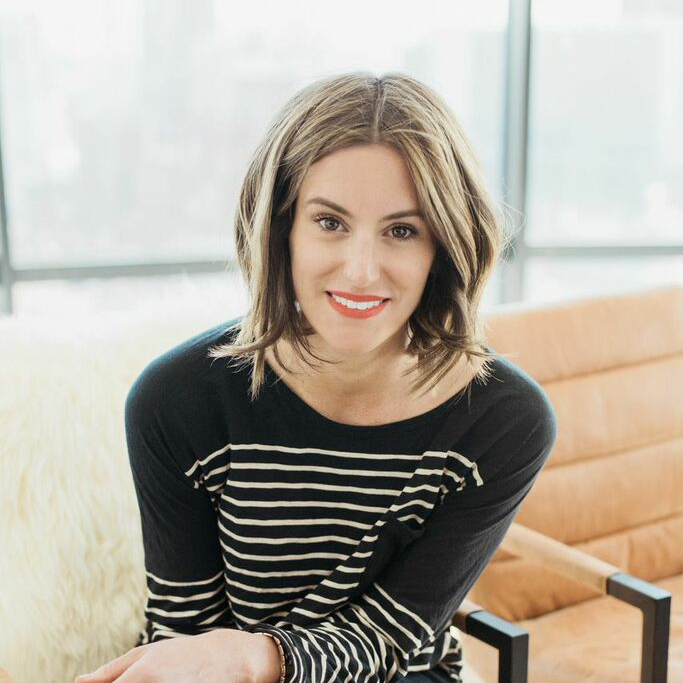 She has also translated her signature aesthetic- collaborating with such brands as Samuel & Sons for passementerie, Papyrus for cards and gifts items, rugs for Perennials and West Elm as well as consulting for major brands such as Hunter Douglas. She just launched her first "textile infused" jewelry and accessory collection under her own name this year. Her work is housed in the permanent collections of the Cooper- Hewitt and London's Victoria Albert Museum and she is the recipient of more than thirty prestigious design awards. 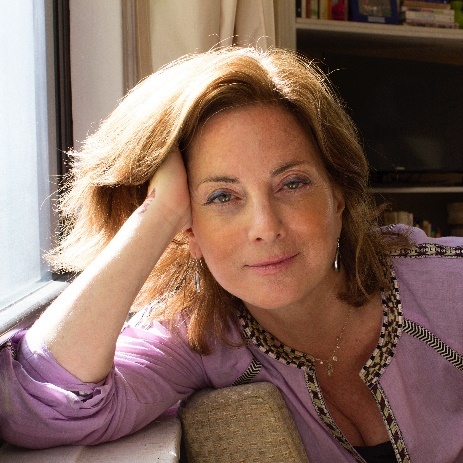 She is the author of Ode to Color, The Ten Essential Palates for Living and Design , published by Harper Collins and frequently lectures on color, wellness and design. so bring your business cards. can boost your career and support your business! Between 5th and Madison Aves. You Must Bring Your Biz Cards! *Irish word for fun/enjoyment that has been brought into the English language, used when mixed with alcohol, Music and/or IFDA Members. 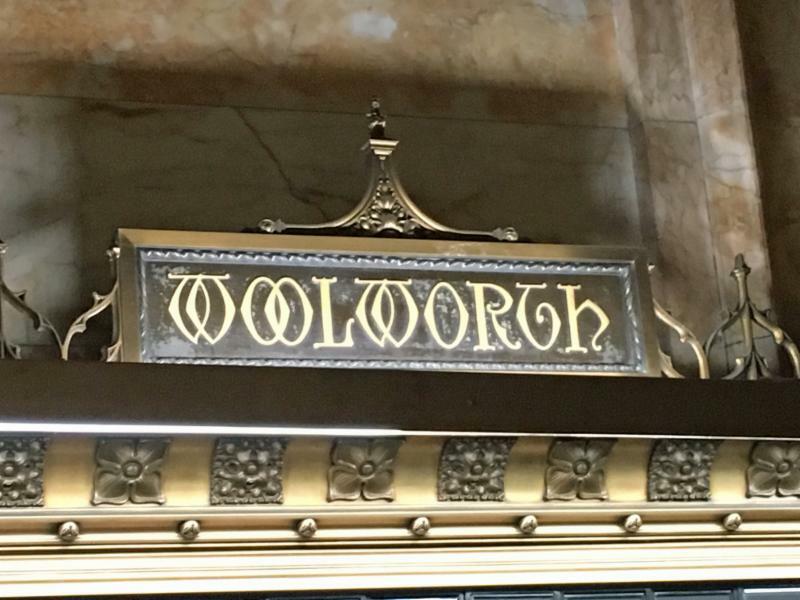 250 West 26thStreet | 2nd FL. so come on out and enjoy a fun & cozy evening! IFDA and FIT are delighted to offer this last-minute event for you to meet and experience the work and world of these two famous designers. 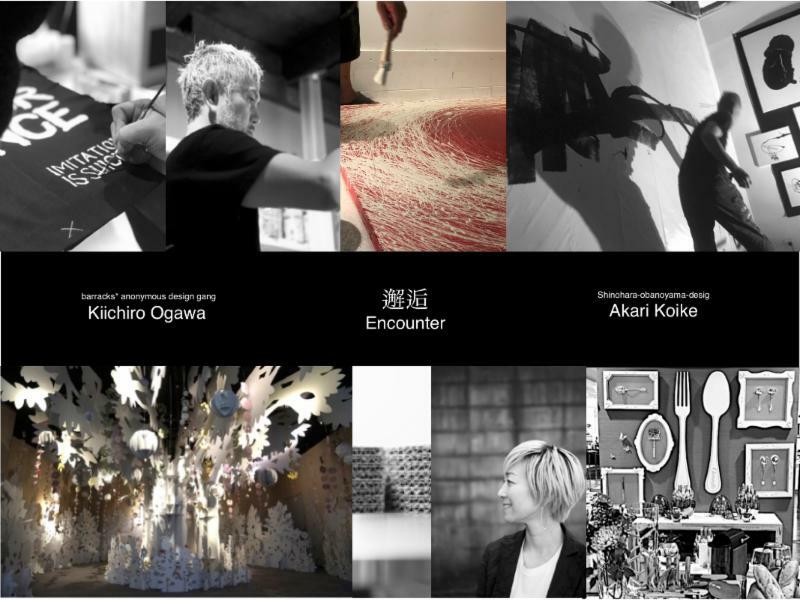 Artist-Creator, Kiichiro has a long history of working in the architectural world. Today he is an avant-garde artist, focusing on painting stage costumes, clothes, bags, furniture and walls. 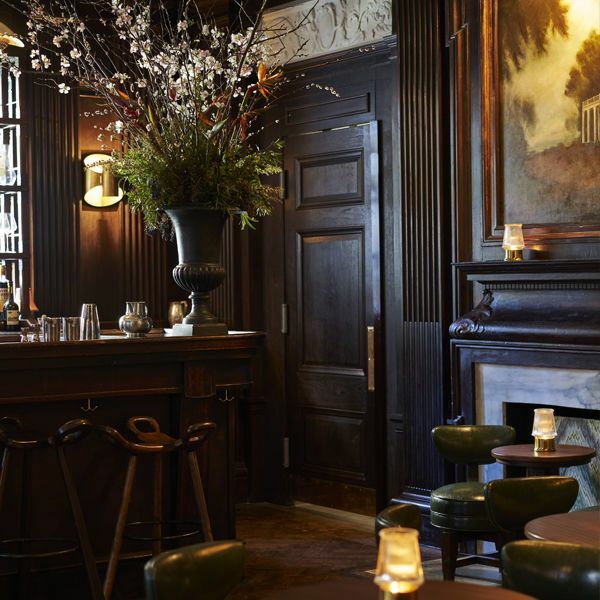 He imagines the artistic environments of new hotel spaces and remodels old spaces like public buildings and private homes into bars, cafes, and stores - creating lifestyle-focused art, spaces, fashion, interiors, and music. This "art de vivre" concept drove him in 2013 to found and produce MACHI DÉCOR when he gathered companies, independent creators and designers from all over, and now brings in over 60,000 visitors each year to Osaka. As a teen, punk music and fashion influenced him, but having little money, he began drawing skulls and strong words with bleach on his jean jackets creating both written and visual messages, blending punk sprits and irony with his personal aesthetics. After years of wearing suffocating corporate suits, he transformed that symbol to create his signature brand trademark showing his artistic Individuality, and today his painted garments are one of his most popular products. The "byakari" division of Shinohara Obanoyama Design Company was established in 2015 as a lifestyle brand and produces parties and events for corporate and private clients with a focus on creating interactive time and space experiences. Akari's first "PAPER PARTY" was produced in 2012 as a festive backdrop constructed entirely through a cardboard medium, expressing new possibilities and transforming the area into an eco-friendly environment, full of fun, excitement and peer-to-peer interaction. 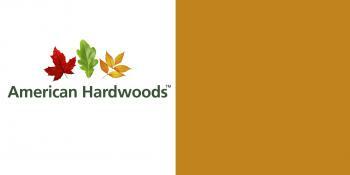 For corporate clients, byakari provides marketing strategies and company re-branding services. 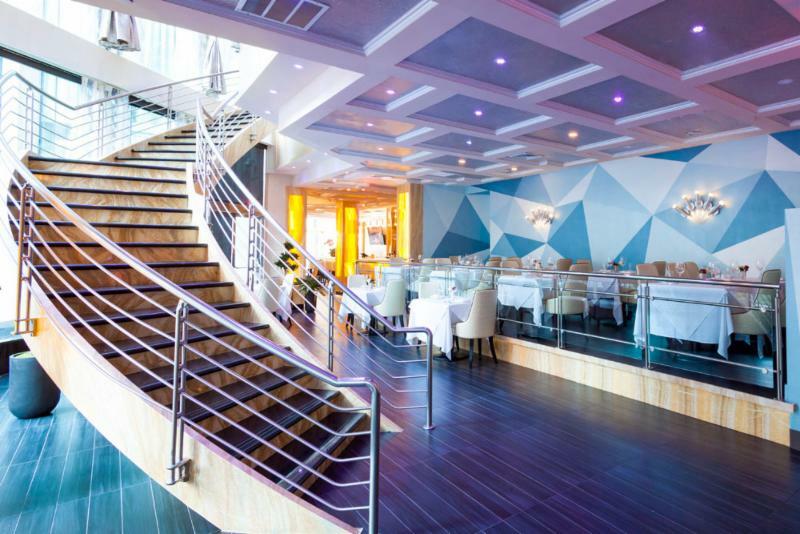 Over the years they have garnered a strong hospitality sector following as a result of the many clever decor concepts they created for cafés and restaurants. The very popular "Home Party Lesson" series provides themed-based cuisine and decor, honing in on a uniquely Japanese interpretation of the latest European trends. As President of IFDA Japan, Akari has discovered many additional marketing opportunities that has helped her company grow. Please RSVP by Monday 5 pm. in this "Have it Your Way World"
For more than two decades, Nancy Fire has been at the epicenter of some of the world's most exciting lifestyle trends. She has worked with leading brands and celebrities to capitalize on the emerging trends she curates to develop new product lines. 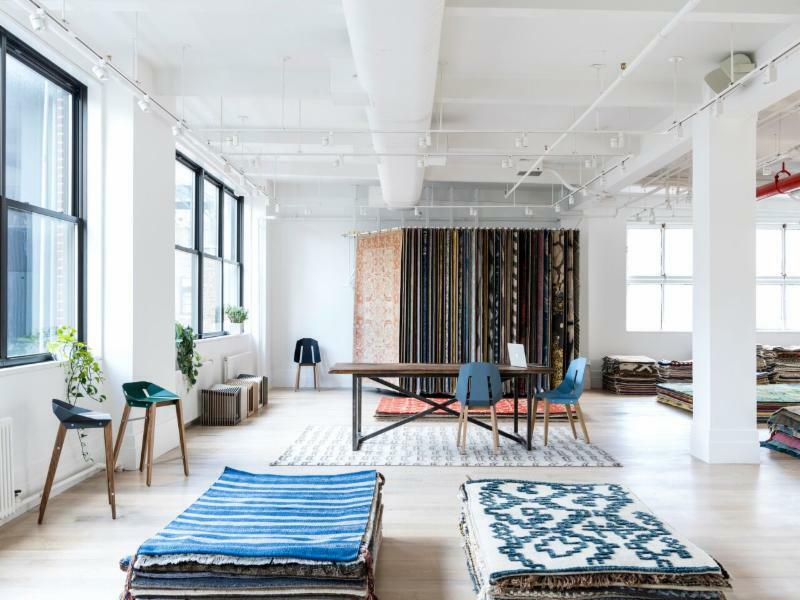 Fire's passion for design led her to start Design Works International, a lifestyle company in NYC, that serves as both a design think tank and a working studio where textiles, home furnishings, and fashion come to life. - dreamers, idlers, and strollers of cities. "Today's consumer knows that a perfect product should reflect the expertise, talents, and dedication of craftsmen from all over the world. 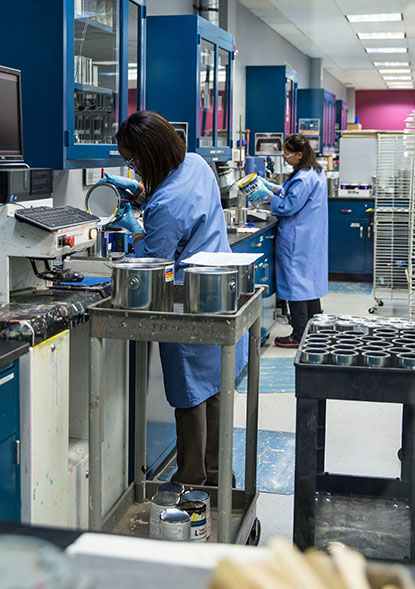 Building a bed sheet that is breathable, durable, soft, smooth, and environmentally friendly with a modern touch. . You find not only manufacture partners and brands, but also histories and families." It's fitting, then, that Flaneur's modern approach to the bedroom should be encapsulated in an old Chinese saying: "Read tens of thousands of books; travel tens of thousands of miles." 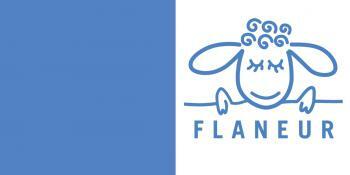 Flanuer is an IFDA NY Silver Sponsor. The trademark, Strictly Santi, is known for a clear, distinct vision that transcends into the world of functional case goods, a plush upholstered furniture collection, and home accents that is the "Santified" touch. 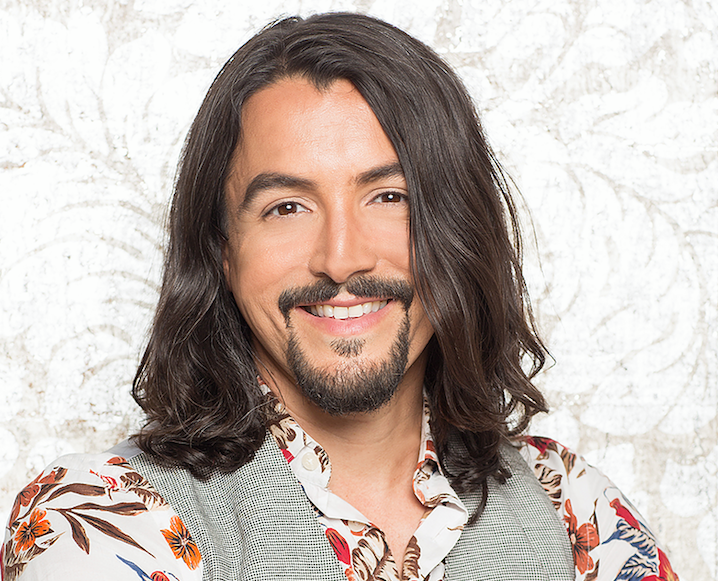 A well deserved self-proclaimed reference to himself, the "Prince of Wallpaper" is David's ability to master the art of wallpaper application. A room literally becomes magical and transformed through his vision of unique uses leaving no surface off limits including the ceiling! David is acknowledged by the High Point MarketAuthority as an influencer. Mr. Lasky's designs have been built across the U.S.and worldwide. 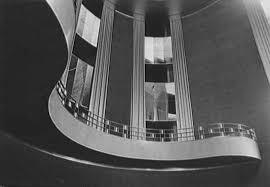 His works range widely in building type, scale, and budget from small scale residential to large scale industrial. 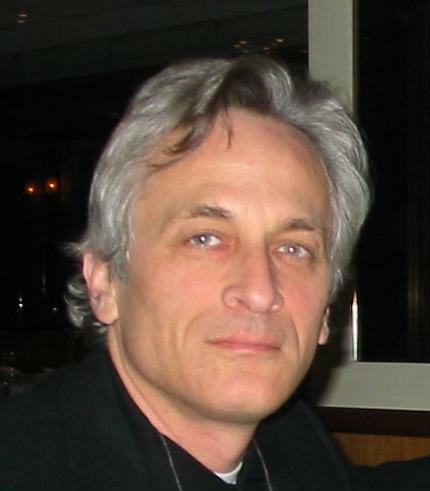 He cofounded Silberstang Lasky Architects in 2005 and has taught at Columbia University and NYC Technical. 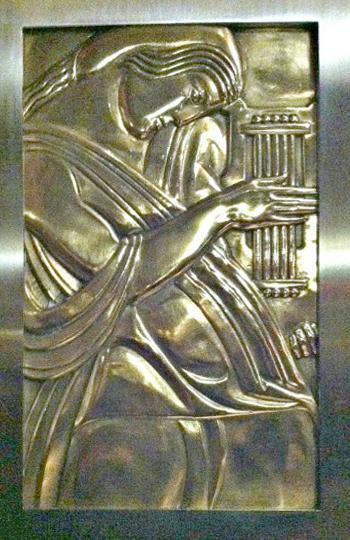 His work as a sculptor is in private collections. HearthCabinet™ designs is the only ventless fireplaces and is the safest ventless fireplace fuel system available, designed by an architect-led design team, They are handcrafted in Brooklyn by seasoned craftsmen to ensure high quality. 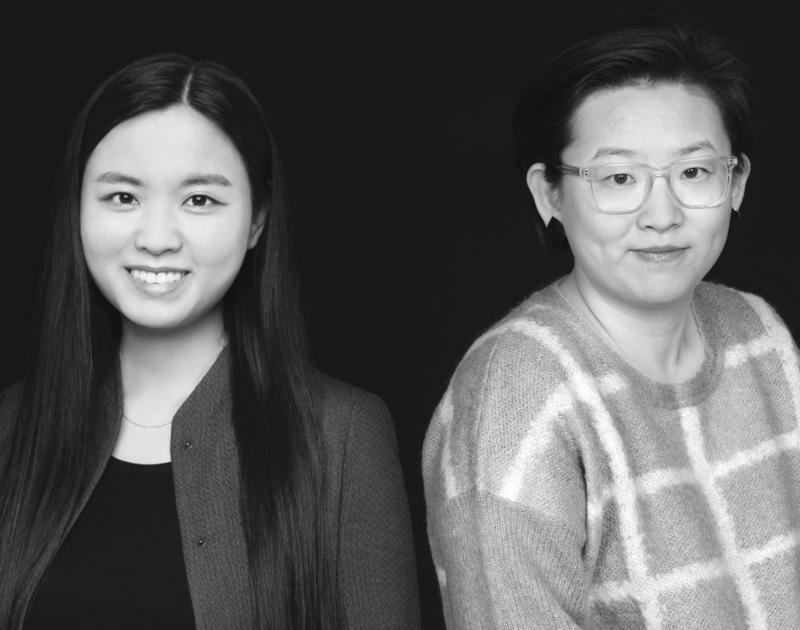 Tianjiao Saikhantal Yu (aka TJ) and Lu Xiong are co-founders of Flaneur, a contemporary luxury brand that specializes in providing sophisticated solutions to the custom color, dyed to order service. Flaneur custom-dyes sheet sets and duvets to any Pantone color or to match with any samples, giving interior designers fresh bedding options, and more control over the bedroom looks they design. The premium concierge service takes a form of the online live chat service with . custom dyed beddings delivered in 14 days, the fastest turnaround time in the industry. 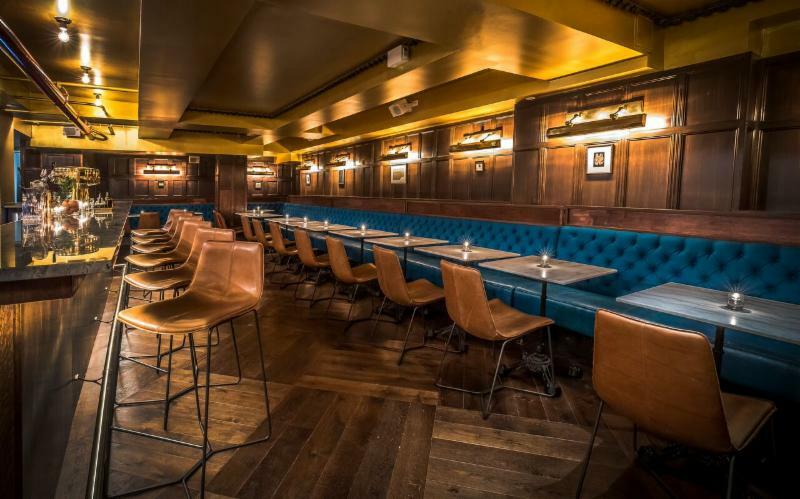 The event will be on Nov 15th 5:30 PM at Tile Bar 45 W 21st St, New York, NY 5:30 pm for cocktails and the presentations to begin at 6:15 pm. After the presentations guests usually mingle a bit more with wrap-up about 8:00 pm. 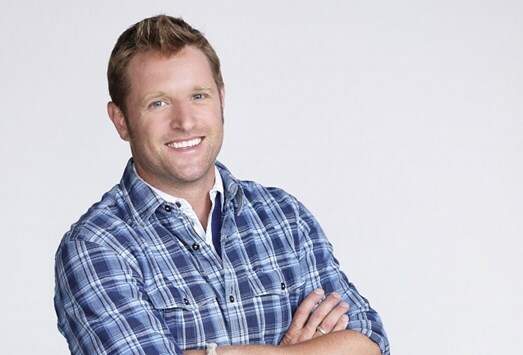 Our MC will be George Oliphant from NBC’s George to the Rescue. We combine our interior design, fashion styling and art history backgrounds with the powerful dynamic of our partnership to create livable, luxury interiors. We re-imagine the classics, making them new and fresh, creating tailored, modern spaces with bespoke details. Has a discerning eye and flair for contemporary style and specializes in translating sophisticated tastes into practical modern designs. Casey credits traveling as a driving source of creativity, drawing inspiration from colors, textures and materials she encounters across the globe. She is always excited to find ways to incorporate this inspiration into her work, seamlessly marrying originality, imagination and practicality to bring a client's vision to life. has an eye for superb craftsmanship and use of luxurious, tactile finishes and materials, his rapidly expanding boutique company creates spaces that reflect each client's unique personality - and then elevates that vision into one-of-a-kind spaces and homes. 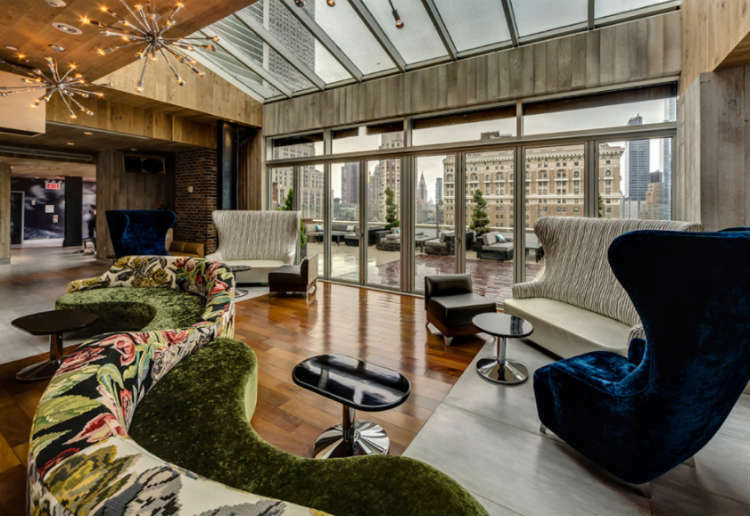 After He created a room for the prestigious Kips Bay Decorator Show House in Manhattan, he was counted among some of the most talked about and respected interior designers in the country. Ot/tra started as a side project at Zimmerman Workshop Architecture + Design, like the firm's architectural projects, the solid wood furniture reflects the same level of attention to technical rigor, meticulous detailing, quality construction, and a softened contemporary aesthetic. 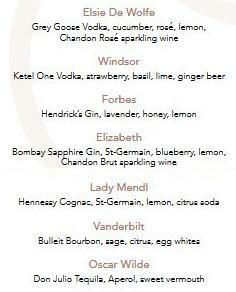 dazzling signature cocktails . .
Come and be the first to toast IFDA's newest Stars with one! 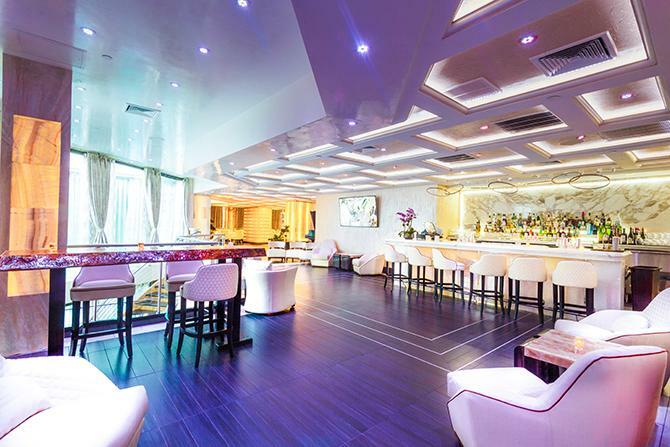 for the best networking in Town! Please join IFDA as we tour High Point together! Here is a chance to meet and spend some time with IFDA members from other chapters and learn something new! You must register for this tour as space is limited. Wonderful for those who have never been to HP, or not attended the last 4 markets. One of the most beautiful showrooms, will have a short presentation just for us. 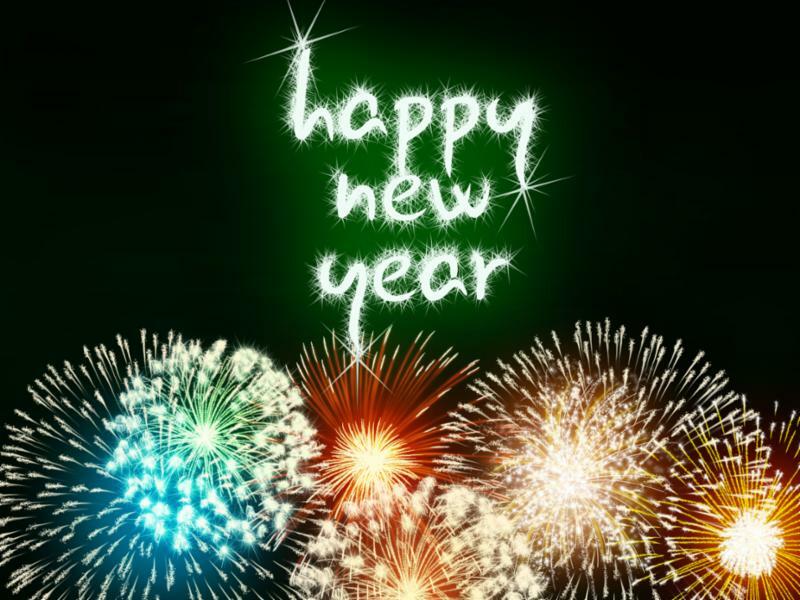 Please RSVP to Ida McCausland here and Thibaut will plan to have your rep there! Whether in our IFDA Chapters, our business, families or other volunteer organizations: discover how to develop and respect proper lines of communication, how to overcome your fear of holding people accountable, what job descriptions should look like and why they are extremely valuable, how to positively communicate employee performance and coach improvement, and how to make a great workplace environment. Speaker: Joe Milevsky, JRM Sales & Management, Inc.
No High Point Market is complete without our famous dinner party. Join us at 6pm for a delicious dinner, deserts, and exclusive Italian wines from our partners at More & Giles. How do you get magazine worthy, book worthy and stunning photography? Discover how to present yourself with polish and pizzazz, communicate with confidence, and dramatically differentiate yourself; how to pinpoint and promote your million-dollar personal selling word, make an instant impact and make yourself memorable, how to use self-promotion to take your business to the next level and beyond. What you need to know to “Wow” anyone, any time, and stand out as a uniquely-qualified, one-of- a-kind leader in your field. Fred Burns, Business By Design. Specialty bourbon cocktails and gourmet biscuit selections like Rosemary Garlic Biscuit with Beef Tenderloin and Buttermilk Biscuit with Fried Chicken and local honey. The event is part of the Hamilton Wrenn Design District's Third Night Celebration! Grab lunch and join us to learn key design trends home builders are incorporating into new homes that impact furniture, art, and accessory selections. Key takeaways will include: How Upcoming Design Trends are Impacting Home Builders; What Home Builders want to see in Home Decor and Interior Design; Creating the Appropriate Style and Function for New Homeowners, and many more. Ideal presentation for Professional Interior Designers, Furniture Store Representatives and Owners, Professional Home Stagers and Professional Interior Decorators. Q&A will follow the presentation. Want to join IFDA at High Point? We'd love to have you join us! Please contact Philadelphia Chapter Member Ida McCausland to let her know you will be there! Our Speakers . 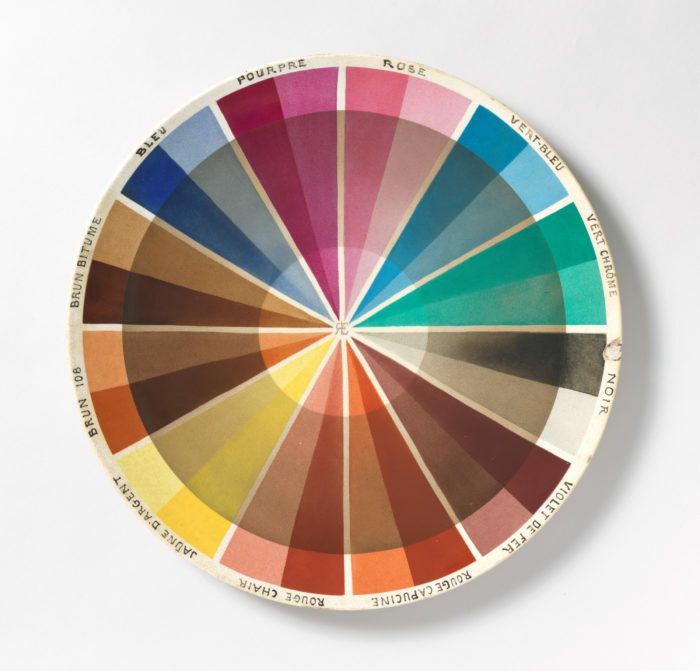 . .
Ode to Color: The Ten Essential Palettes of Living and Design. 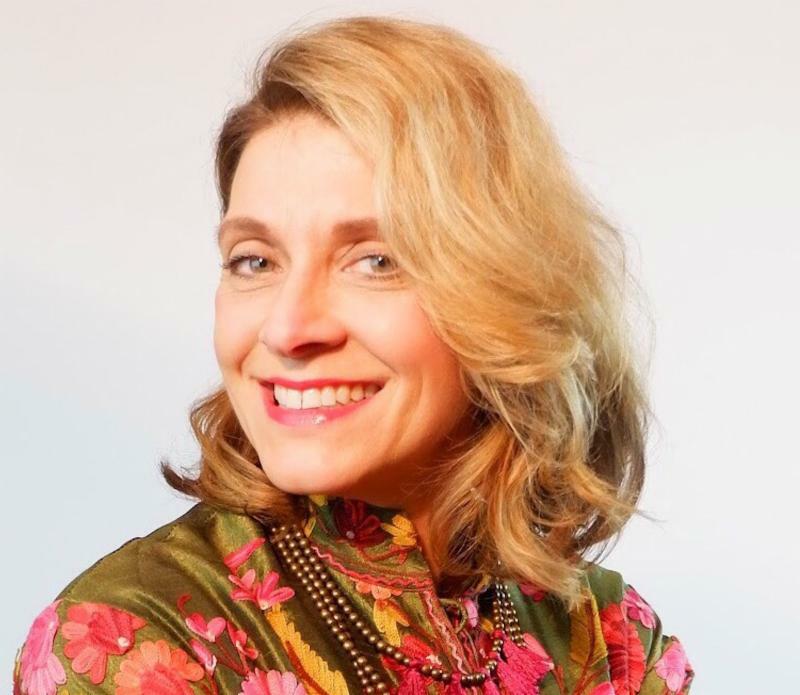 Principal of carpenter + company, Carpenter is an expert in color and trend forecasting, and is a consultant with Pantone as well as the Global Trend Ambassador for Maison & Objet in America and Paris. 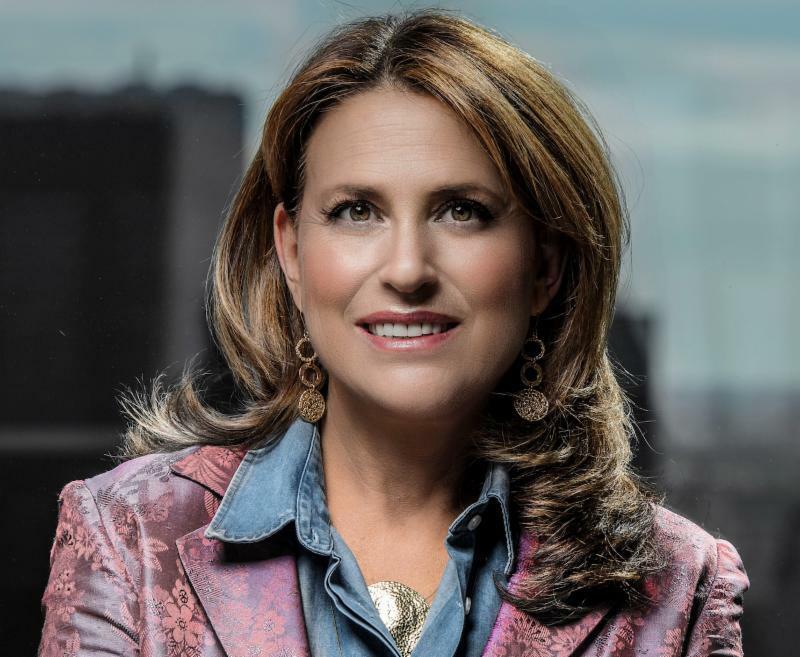 She has an eponymous home textiles brand and has created private label collections for brands like Bloomingdale's, Sferra, Neiman Marcus, Crate & Barrel, The Phillips Collection, ABC Carpet + Home, Donna Karan Urban Zen and Ralph Lauren. a showcase of new ideas, design, materials, and products. 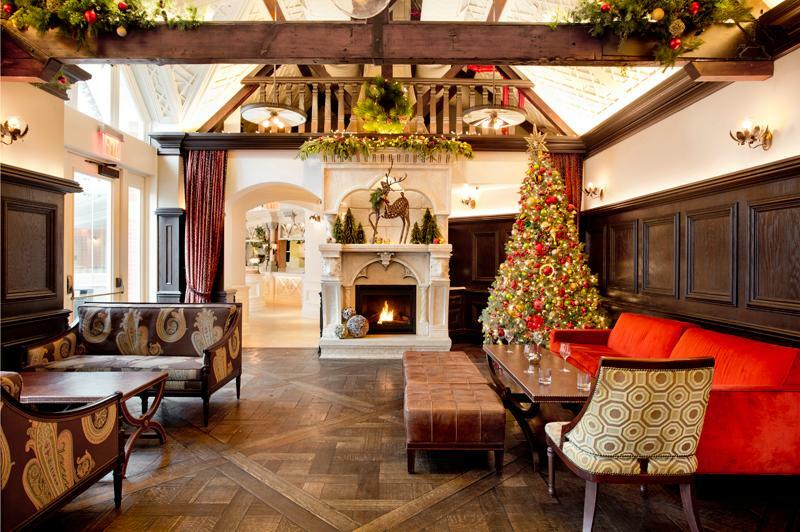 The most anticipated interior design event of the season boasts presentations, book signings and cocktail parties with the industry's top editors, designers, taste-makers. office in Suite 417on the 4th Floor. to the IFDA office, say Hi! and receive a member's only goodie bag! AIR FROM MAIN HUBS IN THE US (call for other cities). 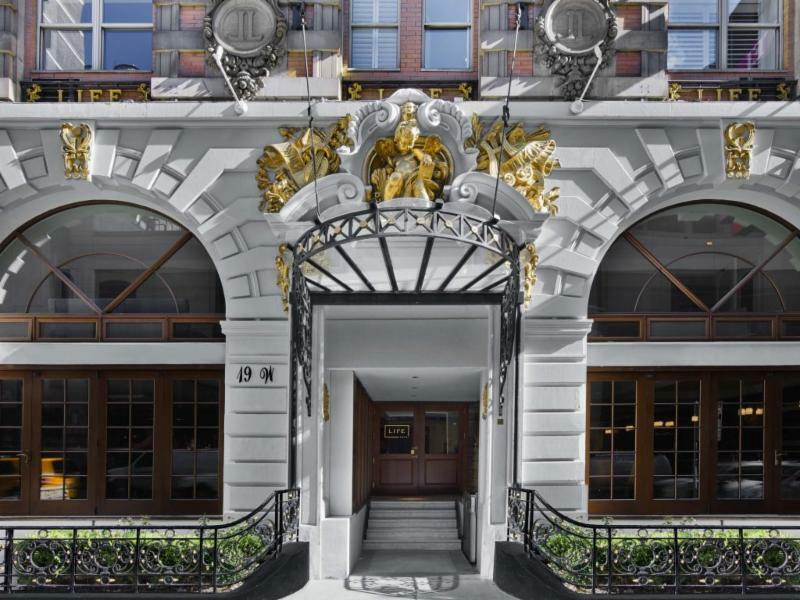 HOTELS SAINTE BEUVE, ARTS ET ACADEMIES, DAMES DU PANTHEON, KK, AIGLONCharming and very comfortable properties, all located in the Saint Germain-Latin Quarter are conveniently close to a RER station on the direct line to the Maison&Objet show. HOTEL REGENT’S GARDEN is near the free shuttle bus to the show. - Leaving the US Thursday Sep 6th to land Friday 7th in the morning, you will have 4 full days to visit Maison&Objet and enjoy spectacular Paris. Leave Tuesday the 11 to land home same day. Call to extend your stay. - Air from the USA main hubs. Call 301 364 5050 for smaller cities. 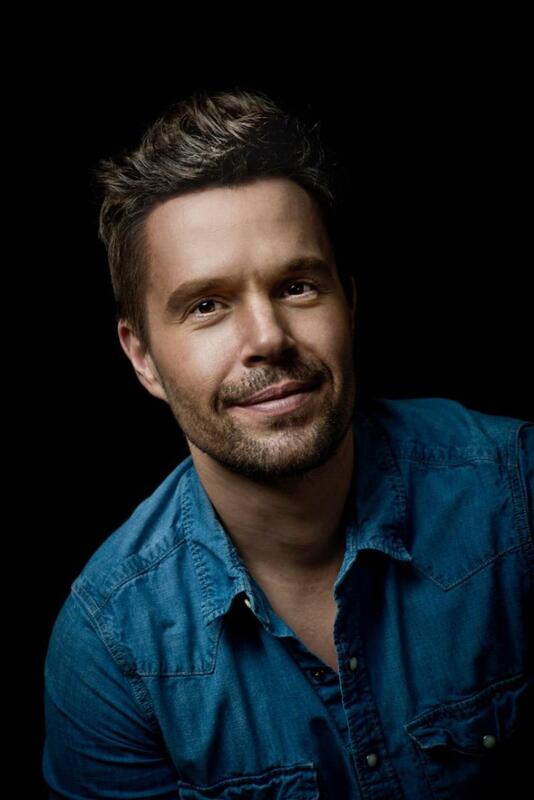 - 4 nights in a lovely and comfortable hotel in the heart of Paris, conveniently located for easy access to the show. - Access to enter the show as many times as you wish. - 3 days “Paris Visit” for free use of the entire Parisian transport system (RER, Metro, Bus Tramway). We also have contracts with many airlines for business class seats. 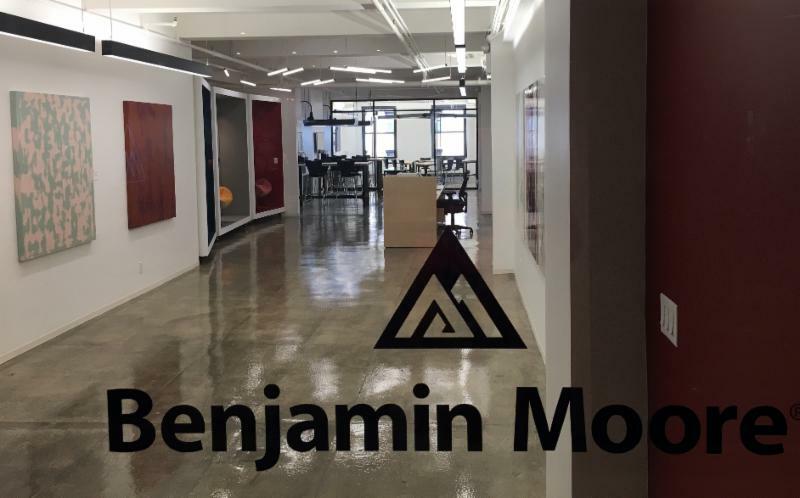 Meet IFDA NY in the Lobby of NYDC 200 Lexington Ave. Leave as a group on a Benjamin Moore sponsored bus. Light refreshments will be served. Arrive at the Benjamin Moore Flanders Facility. Head into the conference room to discuss products. Lunch will be served. 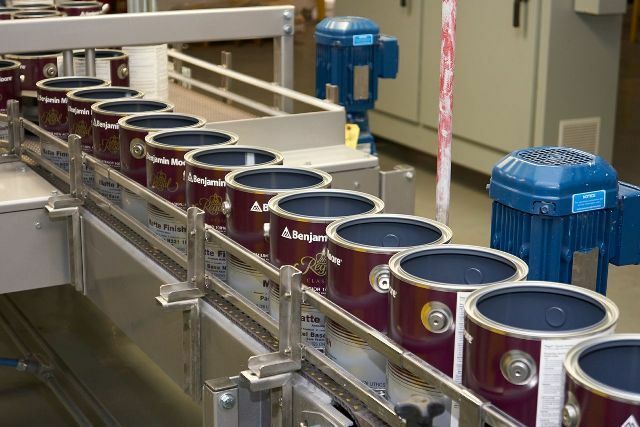 Tour the outdoor facility inclusive of the famous Paint Test Farm. Split into two groups of members, to tour the labs within the Flanders facility. 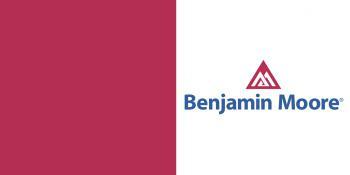 1:30 pm: Hands on/roll out some of Benjamin Moore's newest and exciting products focusing on Aura, Ultra Spec 500, Scuff X and Century. 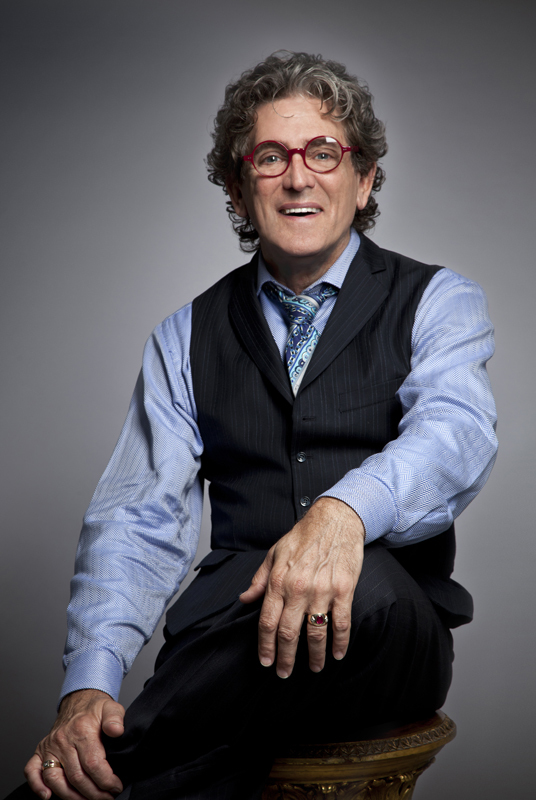 Rodger Lippman is entering his 25th year serving as an Architectural & Designer Representative for Benjamin Moore & Co. 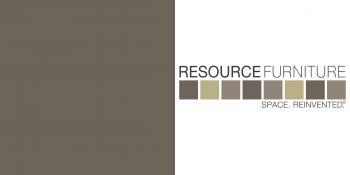 He enjoys assisting Architect and Design professionals with their specification needs. 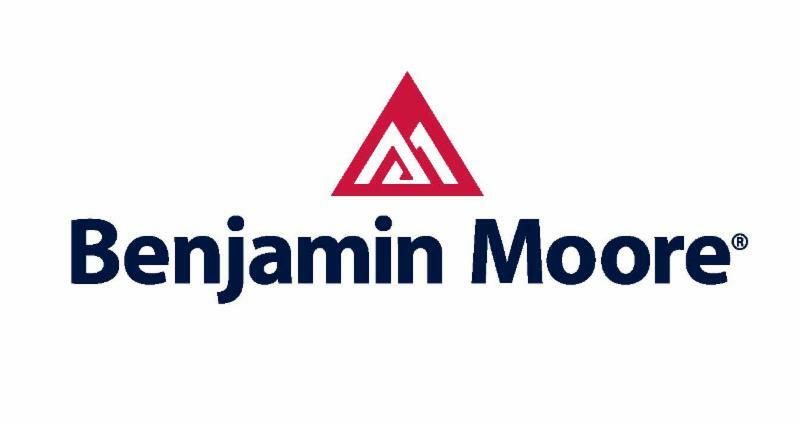 Brian Milli has been with Benjamin Moore for five years, and has over twenty years' experience delivering training to the consumer goods, telecommunications, real estate, and hospitality industries. Space is very limited, so reserve your seat today. Arrive at the museum at 10:15 AM in the Great Hall. The 50 minute tour of the exhibit begins promptly at 10:30 AM. IFDA benefited directly from her business acumen: she served as president of the New York Chapter and chairman of the Past President Council. She will be widely remembered as a gracious, generous, joyful, and compassionate woman, whose big beautiful smile lit up the lives of all who shared her company and enthusiasm for life. 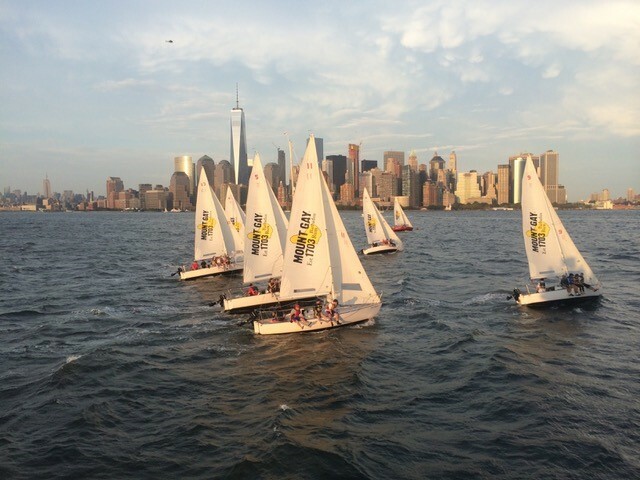 A unique NYC experience with fantastic views, fun music, amazing sunsets and the opportunity to watch the club's sailing races. We encourage you to bring a picnic dinner and beverages should be purchased at The Willy Wall's full-service bar. To catch the start of the Sailboat Races, catch the 5:45 or 6pm ferry. Tickets do sell out, so please purchase yours early! Ferries leave every half hour from the World Financial Center Ferry Terminal in Manhattan and from both Surf City and The Warren Street Pier in Jersey City. From Manhattan you will be taking the Yellow Liberty Landing to Warren Street where the WW Launch will pick you up to take you to the Clubhouse. In Jersey City the Launch Boat to the Willy Wall will first leave Surf City (where you can park your car) and then Warren Street Pier. 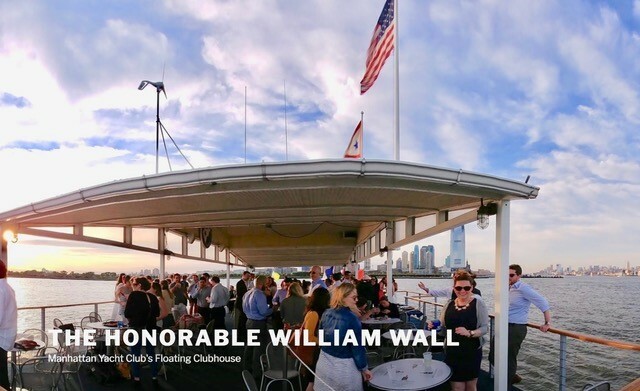 Your ferry ticket will include a ride from Manhattan to the Willy Wall and a return trip to Jersey City. Note: Wear closed sturdy shoes as there will be wet surfaces and you will have to jump on to the ferry. We appologize, this event is not Handicapped accessible. Space will be limited to members so sign up early. You MUST bring your printed Ticket for entry. 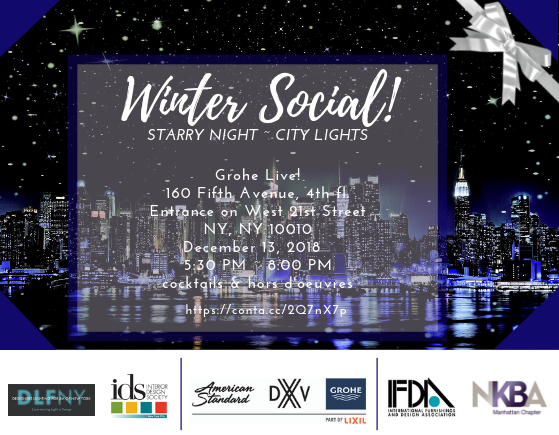 IFDA Thanks our Event Hosts and IFDA NY Sponsors! will talk about the soul & science of color. 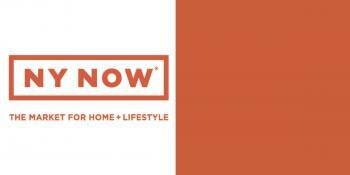 emotions, well-being and more for both retailers & consumers. This is a must attend presentation. Nancy Fire has been at the epicenter of some of the world's most exciting lifestyle trends for more than two decades. She has worked with leading brands and celebrities to capitalize on the emerging trends she curates to develop new product lines. Fire is gifted at adapting her sensibilities to embrace the way consumers are engaging with retail today on trend, color, and style. Her passion for design led her to start Design Works International, a lifestyle company in NYC, that serves as both a design think tank and a working studio where textiles, home furnishings, and fashion come to life. When she is not in her NYC studio collaborating with her design team, you can find Fire trotting the globe in search of trend and inspiration or keynoting at some of the biggest industry events. Betsy Karp's 30-year career as a pioneering fashion designer and color expert has helped the fashion industry improve the quality of their collections; leveraging their brands and increasing their customer bases. 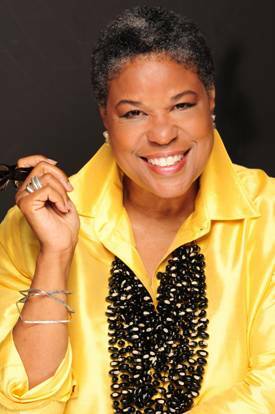 Her platform as "The Color Coach" has proven that the emotional, spiritual, psychological and energetic forces of color have impact on all aspects of fashion, wellness, and spirituality. 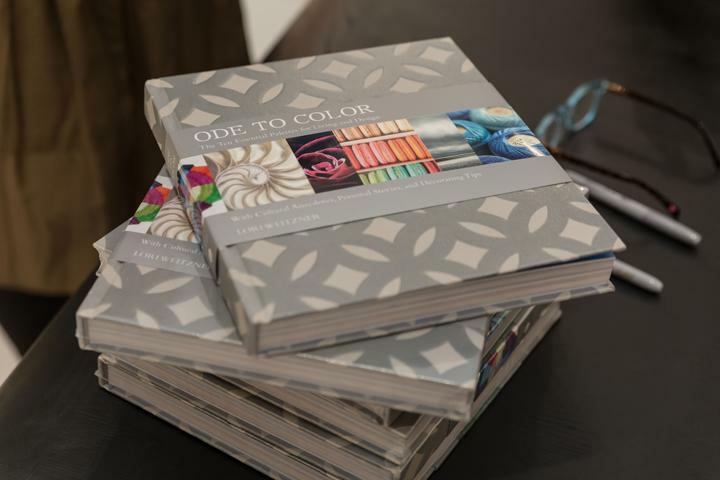 Betsy's out-of-the-box approach merges her deep understanding of color and design and how these compliment the demands of companies and the personal needs of individuals. She is an avid traveler who writes about sensual experiences of color, art & culture. Her column, The Courtesan of Color is featured in Lumination Magazine. She trained in Florence, Italy, and her art is at home in private collections around the world. IFDA Members, don't forget to get your badge for NY NOW to see what's new & next. after 1:30 PM on Saturday, May 12. 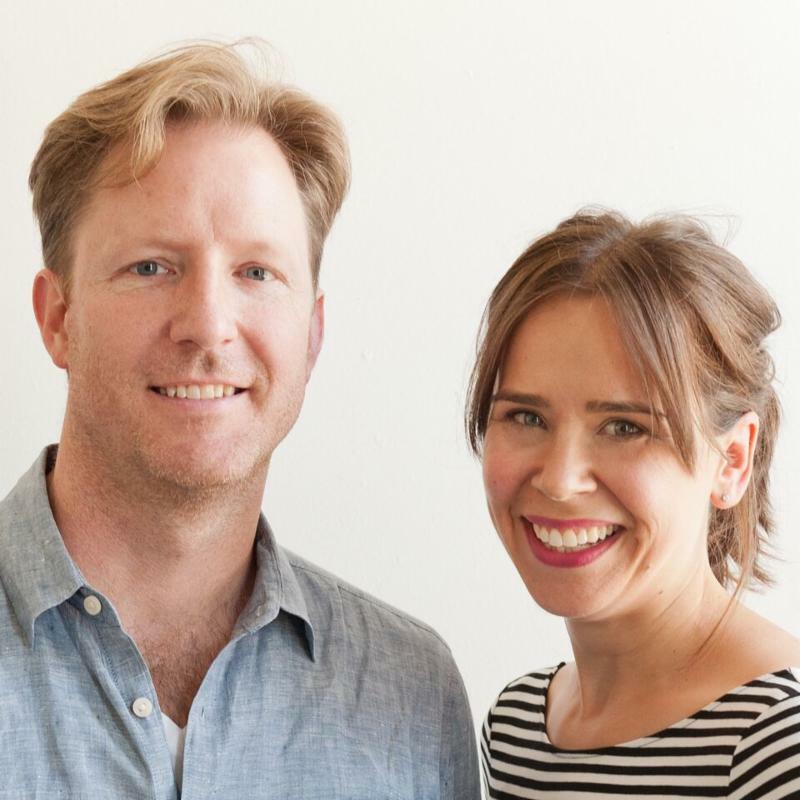 The "IFDA Selects" initiative supports and promotes the design industry, highlighting new and innovative products debuting at New York City trade shows. 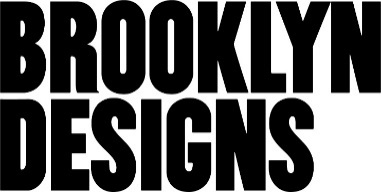 Brooklyn Designs is a survey of the contemporary design scene in Brooklyn. 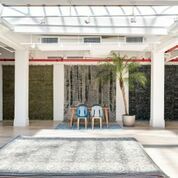 Founded by the Brooklyn Chamber of Commerce in 2003, it was one of the first design fairs to shine a spotlight on the borough's creative economy and continues to serve as an incubator for emerging designers and a platform for established brands, producing a range of creative products and services across furniture, lighting, accessories and technology. 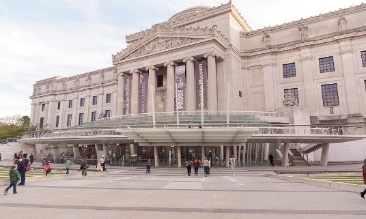 The 2018 edition will move to a new home at the Brooklyn Museum at 200 Eastern Parkway, kicking off the first weekend of NYCxDESIGN from May 11-13. 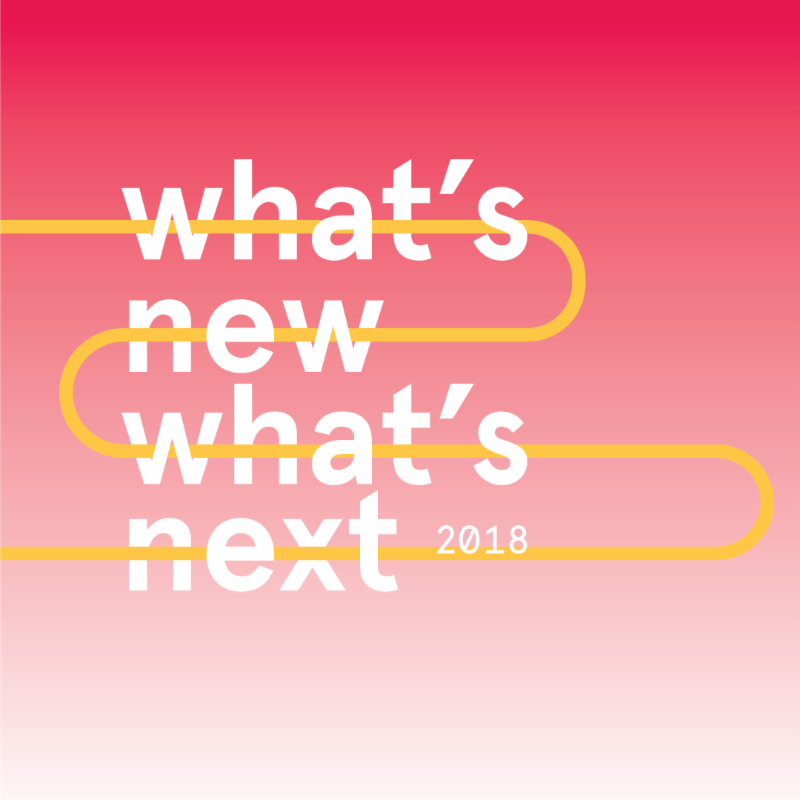 The juried exhibition will feature 50+ brands including beloved design studios Fort Makers and Token; conscientious textile designers Quiet Town and Five and Six Textiles; newcomers Ama Connection and Zeray Studio; and hi-tech brands Fitchwork and Brooklyn SolarWorks. 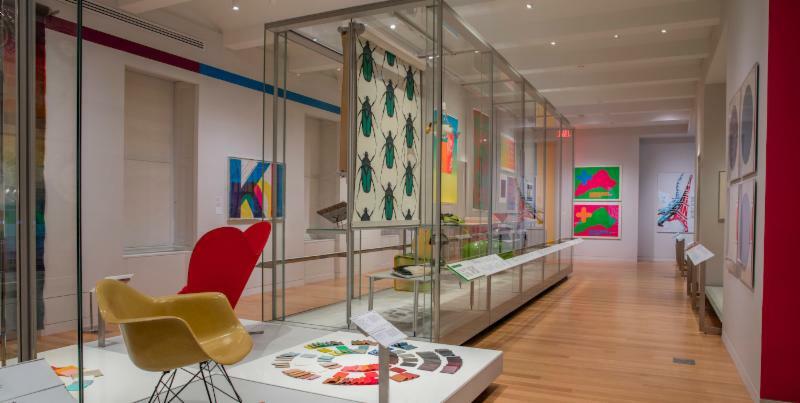 The show will also present special installations from Pratt Institute and the Textile Arts Center, a shoppable marketplace, and talks with prominent figures in the design world including a keynote address by renowned architect Jonathan Marvel. after 2:00 PM from May 20, 2018 through the duration of the show. Initiative supports and promotes the design industry, highlighting new and innovative products debuting at New York City trade shows. If not, there are on site fees. Click here to see all the special feature sections. at last year's ICFF IFDA Selects Winner for Lighting! 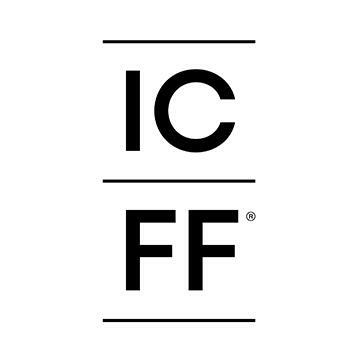 ICFF is the premier North American platform for International Design showcasing the latest in exclusive luxury interiors, contemporary design and high-end furniture. 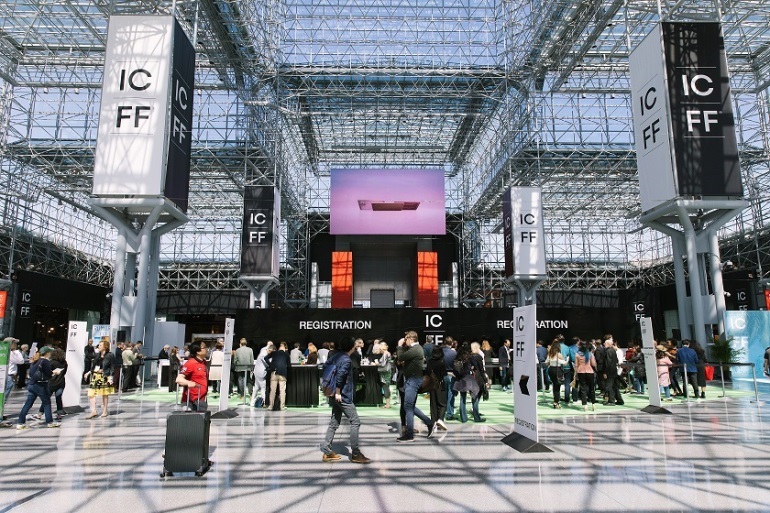 Doubling in size over the past three years, the 30th annual ICFF, scheduled for May 20 -23, 2018 at the Jacob K. Javits Convention Center in NYC attracts more than 800 international exhibitors and draws a crowd of over 36,000 design industry peers in the residential, retail, commercial and hospitality sectors. 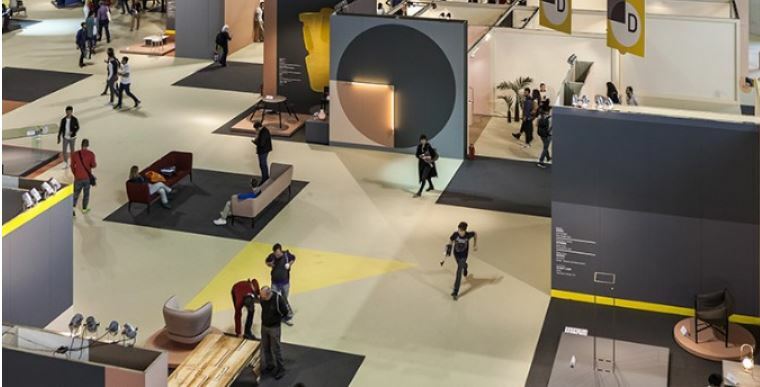 ICFF is also the foundation of NYCxDesign, New York's official design week and citywide celebration of global design with 350,000 participating design professionals and enthusiasts. 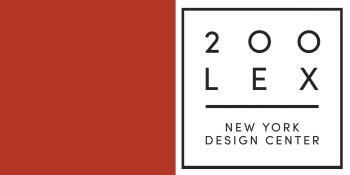 Several new partnerships are making their 2018 debut: Collective Design for ICFF NY brings a curated selection of exciting contemporary designers to the Fair under the Collective Concept program and Handmade in Germany World Tour, which will feature a dramatic presentation of the best in German artistic innovation, creativity and design. The third edition of ICFF South Florida will be held on December 4 - 6, 2018, at the Ft. Lauderdale Convention Center, presenting hundreds of leading brands and addressing every facet of better interiors for residential, hospitality, commercial and high end retail. 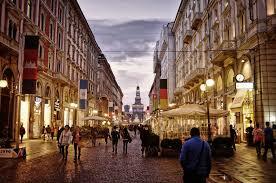 Evening in Italy . . .
Challie Stillman will recap the trends of Salone del Mobile. 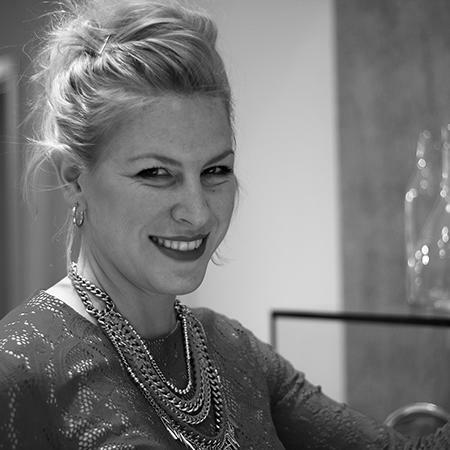 With more than 13 years in the luxury home furnishings industry, Challie brings a wealth of experience to her role as Design Director at Resource Furniture, overseeing nine showrooms across North America while curating an extensive collection of innovative furniture solutions. 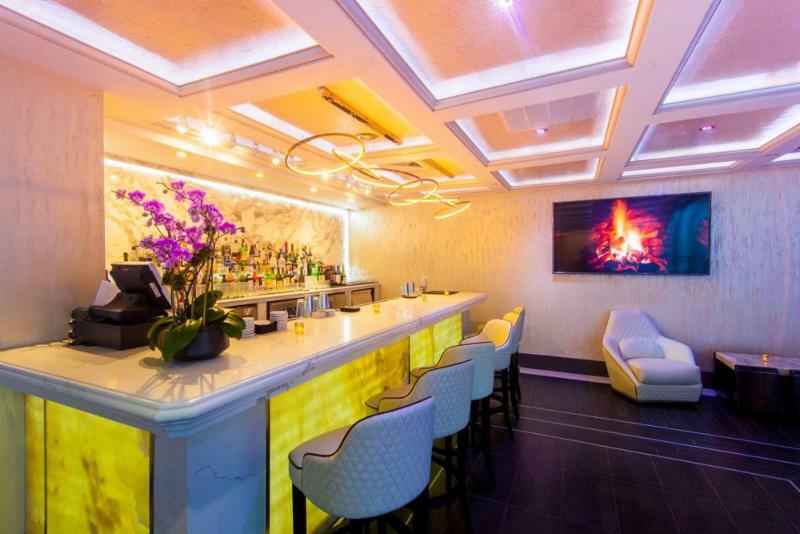 When she is not attending Stern School of Business in pursuit of her MBA, Challie also works on a variety of residential, hospitality, and commercial projects, including furnished micro-unit and co-living developments and extended stay hotels. 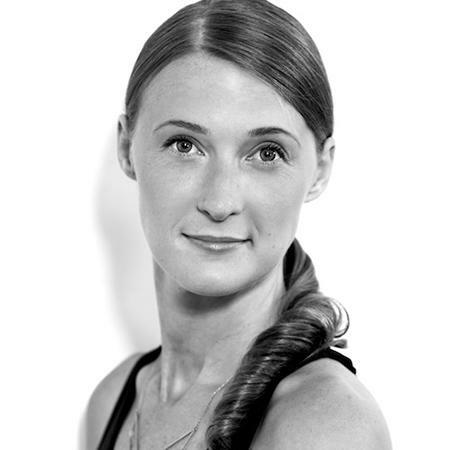 Kristin Coleman will recap the trends of Fuorisalone. 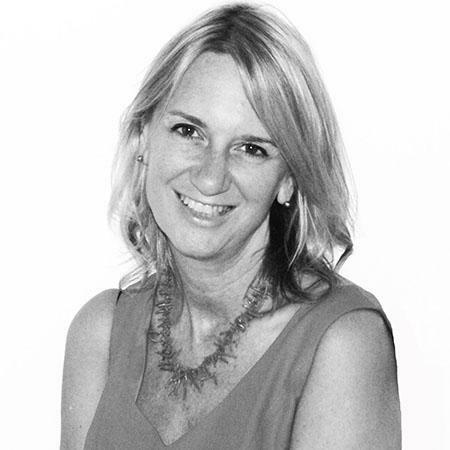 Kristin is a native New Yorker with ten years of experience in design marketing and public relations. She heads the Ceramics of Italy team and projects such as the Architecture & Design Film Festival and the US Pavilion of the Venice Architecture Biennale. 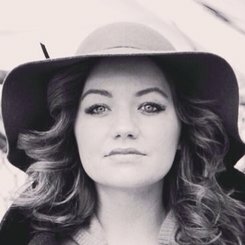 She is also on the creative production team for Brooklyn Designs, the PR Committee for NYCxDESIGN and the Marketing Committee for Coverings. Christine Abbate will give insiders Pro tips for attending and navigating Salone. 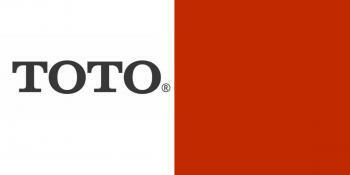 Prior to founding Novità in 1996, Christine was Director of Marketing & Promotion for the Italian Trade Commission - Tile Center. Fluent in Italian, Chris has developed Novità into one of the leading PR and marketing agencies serving the design industry. 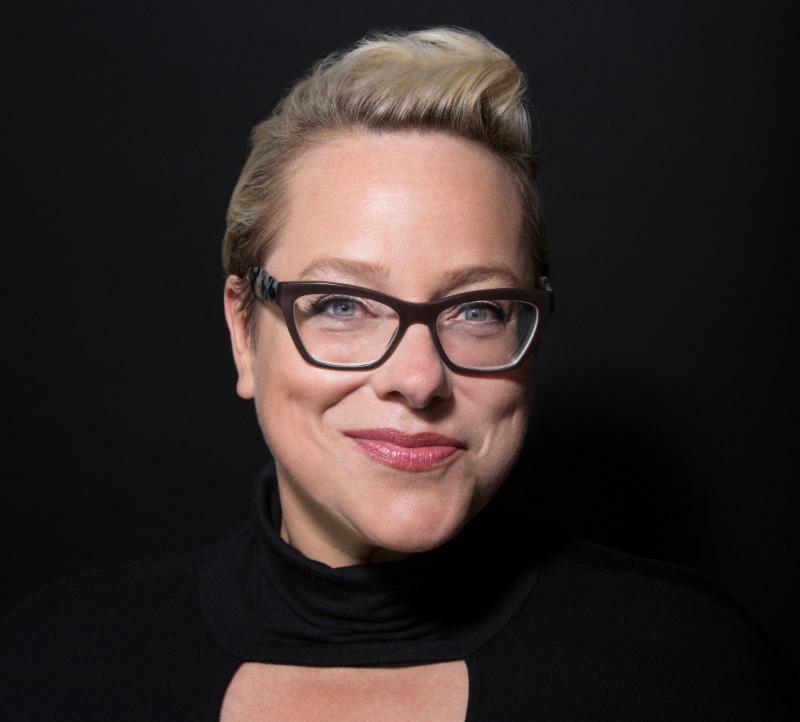 She is currently on the Board of Trustees for DIFFA, the Steering Committee for NYCxDesign, the board committees for Marketing, PR and Conferences for Coverings and the PR Advisory Committee for Plus Pool. Bring your friends and your favorite songs ! 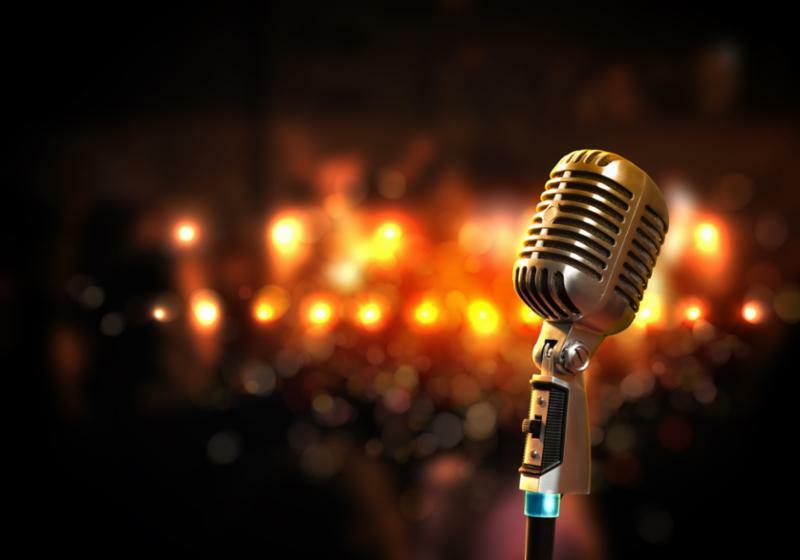 Pick out your song or join us for the 70th Anniversary version of the " IFDA song" ! Your attendance will support the IFDA Educational Foundation benefiting the Valerie Moran Memorial Grant which awards professional members interested in expanding their horizons through travel, trade shows, and professional development studies. Please gather at sign-in desk. Join Charles Pavarini III head of Pavarini Design, a full-scale New York based award-winning interior design firm, for a private guided tour of the 2018 Kips Bay Decorator Show House. Learn all the trade secrets of how each room was created. Besides being an active IFDA member, Pavarini is a member of the Kips Bay Show House Designer's Committee and is a recipient of numerous awards and accolades within the industry, one of which is the prestigious IFDA Circle of Excellence Award (2012) for Interior Design. Members may bring one Guest. You Must RSVP for a tour ticket. Show House at time of arrival. at a location to be announced on the tour. Click on front door for more showhouse info! as well as DIFFA's DINING BY DESIGN vignettes at Pier 92.
after 1:00 PM on March 22nd . Booth 140 from 4-5 PM on Thursday, March 22, 2018. 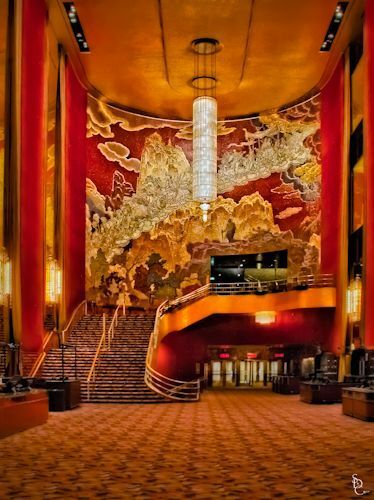 The 17th annual Architectural Digest Design Show, held from March 22-25 at Piers 92 & 94 in New York City, showcases the best in the design and luxury market. The four-day fair features more than 400 premium brands and covers a range of categories, including: accessories, appliances, art, beds, building products, carpets & rugs, children's furniture, closet systems, connected home, design services, electronics, fireplaces, flooring, furniture, hardware, lighting, metalwork & stairs, outdoor furnishings, paint, prefab homes, safes, spas, stone & tile, tabletop, wall coverings, windows & doors, and window treatments. From product launches to special events to panel discussions with top design leaders on a variety of topics, the show is a must-attend for the industry's professionals and discerning consumers. The Architectural Digest Design Show is produced by The Mart, a Vornado Property and hosted by Architectural Digest. For more about the show, visit ADDesignShow.com. 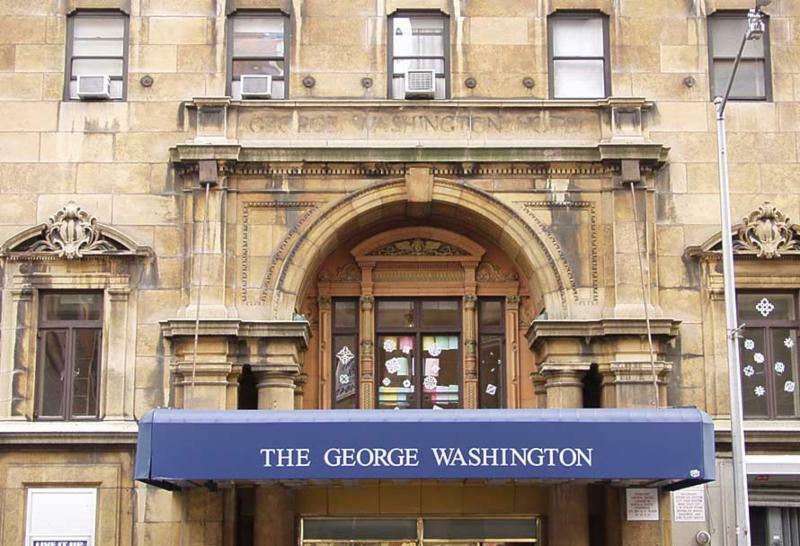 named for editors Charles Dana Gibson & Henry R. Luce. former site of LIFE Magazine. 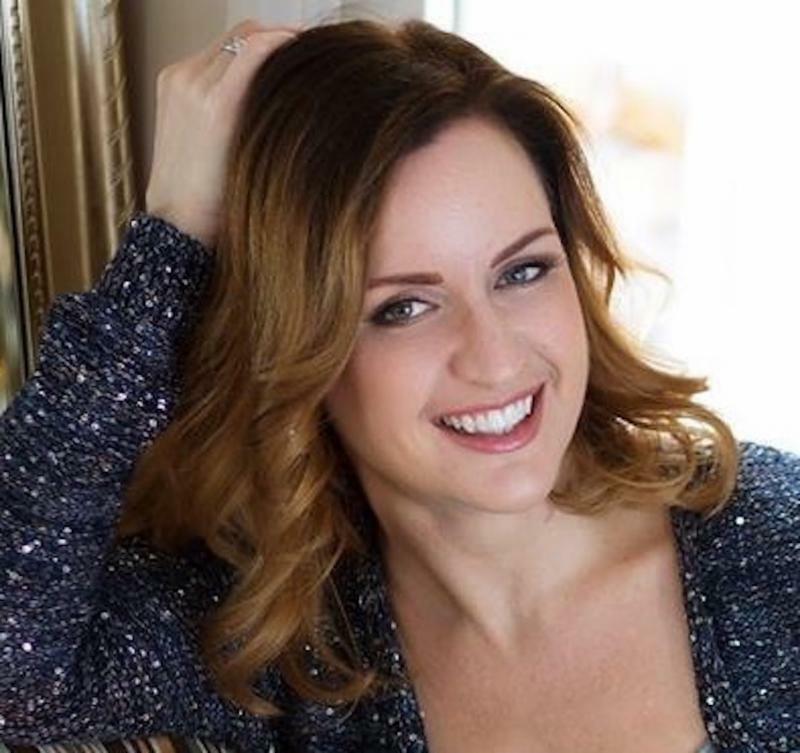 Libby Langdon: interior designer, author, product designer and makeover television personality. Glamour and great views . . .
"Great design is what you make of it; what makes you happy... I'm just here to help steer you in the right direction, open your eyes to a world of sometimes unrecognized beauty, embrace creative possibilities, all while having a good time implementing it. That's great design!" "Sometimes when you look at the sky, it can cut straight to the bone and this moment, in the midst of it all, is what I attempt to convey. My hope is that my work both serve as objects of contemplation to inspire reverence and as a source of encouragement and refuge"
"Successful design isn't just about aesthetics; it's also about creating a comfortable environment that can withstand the test of time." Handin Browne is inspired by clean, contemporary spaces that still feel inviting. The firm works closely with clients to mix streamlined interior and architectural elements with traditional shapes and collected pieces. They often focus on space and flow, while neutral tones, natural materials and straight lines are a common thread in all projects. Ashley's diamonds in the rough are vintage pieces from eras past. Ashley loves mixing antiques with classic and contemporary pieces to create an eclectic look. According to one client, "Ashley's design vision is immaculate. She comes up with ways to mix textures and patterns that result in magazine ready spaces." EXTRA, EXTRA! READ ALL ABOUT IT ! then by all means read below! It is the time of year for IFDA Rising Stars of Design! 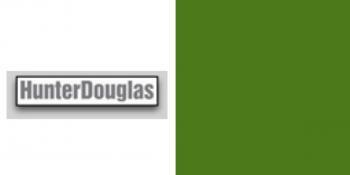 Please nominate both Interior Designers and Product Designers to be considered for the 2018 Honorees. In business in the tristate area and a requirement of accepting is they must attend the awards night in Nov here in NYC (date & location TBA) and give a short Power Point presentation of their work. They are not required to be an IFDA member. May not have won another similar industry award. And one to two sentences on why you think they stand out. 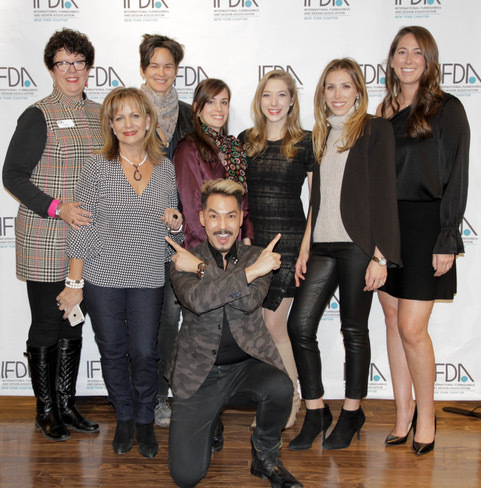 IFDA Rising Stars of Design Event In November. We hope you will join us to celebrate the future of the Design Industry! Click Here to Nominate a Star! Our 2017 Stars . . . . Winners will be identified by IFDA Selects framed award certificates. Together IFDA NY and Habitat for Humanity are building hopes and furnishing dreams. Join our team of 10 and a force of other charitable volunteers on Sunday, September 27th at Habitat for Humanity's Women Build Blitz project site in NYC. 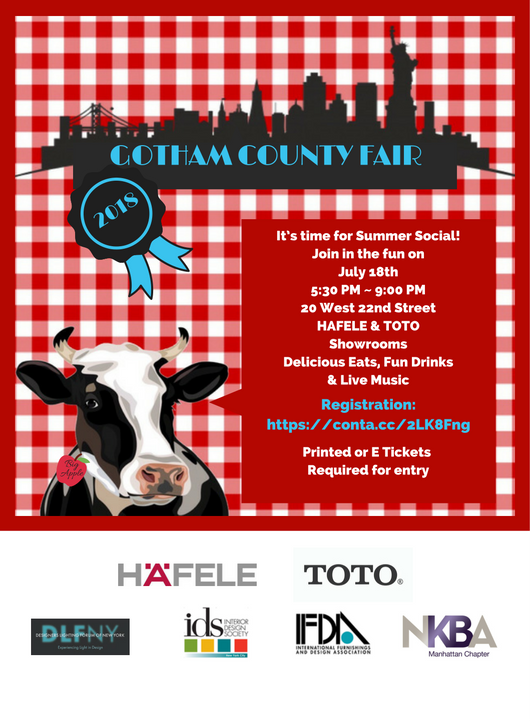 CONTACT THE IFDA NY OFFICE TO CHECK IF ANY SPOTS ARE REMAINING IF YOU WOULD LIKE TO PARTICIPATE IN THE BUILD. Click Here to see the 2015 IFDA NY Take a Seat FOLIO. Click Here to see the 2015 IFDA NY Take a Seat Gala Auction SlLIDE SHOW. Click Here to see the 2015 IFDA NY Take a Seat Gala Auction PROGRAM. Click Here to see the 2014 IFDA NY Take a Seat FOLIO. 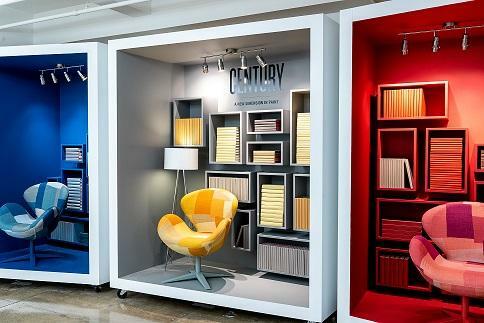 Click Here to see the 2014 IFDA NY Take a Seat VIDEO of the event at Room&Board. Click Here to see the 2013 IFDA Take a Seat FOLIO. Paul Seck, Partner, Michael Van Valkenburgh Associates, Inc.
To see or download the Big Apple Program, click here. Stacy Garcia, Principal, Stacy Garcia Inc.
Cary Kravet, President, Kravet Inc.
Amanda Nisbet, President, Amanda Nisbet Design, Inc.
Charles Pavarini III, Founder-President, Charles Pavarini III Design Associates, Inc.
Nava Slavin, President, The Creative Edge, Inc.
One of the industry’s most anticipated and festive events, the Circle of Excellence has saluted outstanding leaders in the industry since its inception in 1992. It recognizes individual talent, corporate initiative and significant accomplishments within the design and home furnishings community. 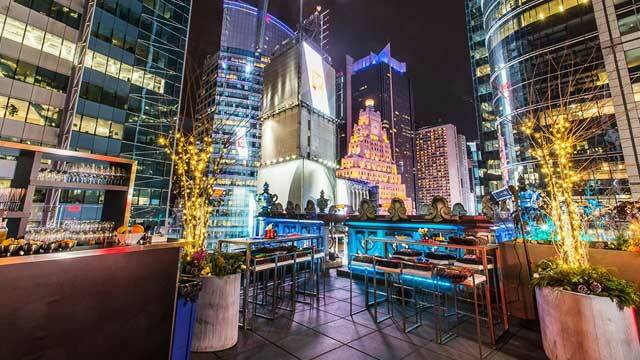 In a long-standing tradition, IFDA New York gives its Big Apple Award to New York businesses and institutions that have had a positive impact on the cultural and commercial life of the city. Over the years it has paid tribute to 17 worthy recipients.